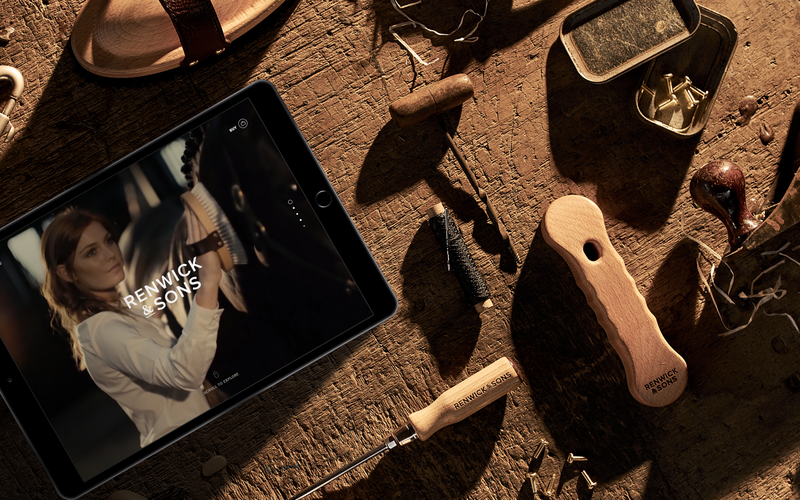 We were delighted when we were chosen to design and build a website for brand new equestrian brushware company Renwick & Sons. Although the family have been producing brushes since 1798, this was their first move into the equestrian market. We were tasked with developing their brand further to work across all things digital and we couldn’t wait to start. As the site is aimed at the top end of the equestrian market, we decided pretty early on that photography and video would be extremely important to showcase a luxurious and premium feel. We approached our partner, Dan Aziz, who we’ve worked with extensively in the past as we knew he would be the best man for the job. We’re sure you’ll agree that he managed to achieve some stunning visuals which ooze elegance and fit the site’s premium brief to a tee. Site functionality was also a crucial factor since the product is only available from the website. We worked hard to ensure the site and buying process was a slick and user friendly as possible, allowing quick and easy order options. There’s even some impressive 3D videos of products so users can scrutinise every inch before they buy. Due to the premium nature of the product, we also knew how important it would be for users to be updated on their purchases. With the addition of some carefully thought out tracking options, users can ensure that they’re kept up to date at every single stage of the process. We think the site looks rather glorious if we do say so ourselves, but have a look for yourself here. We’ve also posted a full case study on the site too if you want to check that out. Are you entering a new area of business and need a site to match? Get in touch, we can help revamp your site and achieve your goals.